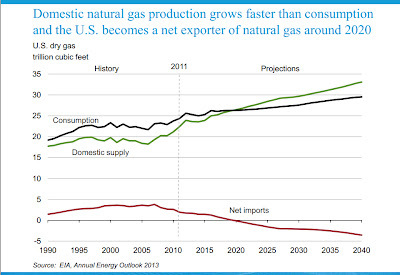 US set to become Natural Gas Exporter in 7 years. The Energy Information Administration released a report for Bank of America titled "Outlook for shale gas and tight oil development in the U.S". 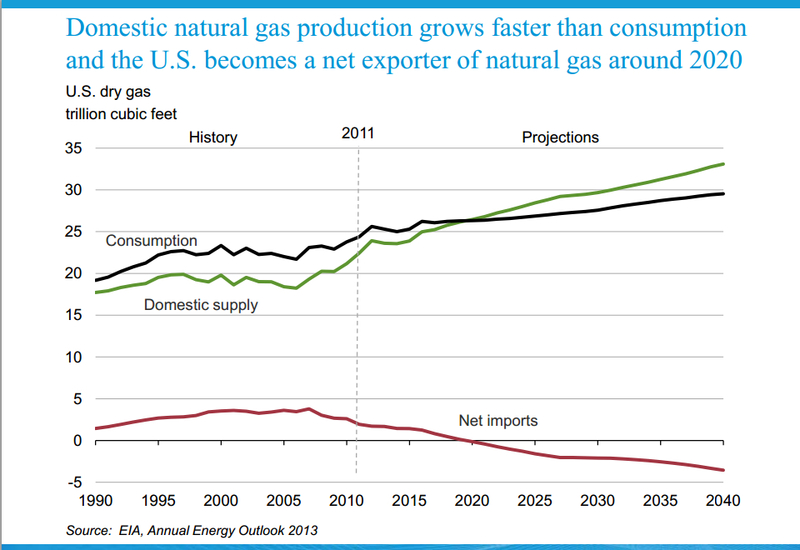 The report outlines state of US energy development, and very clearly shows that we have enough energy to power the American Economy - if we would only develop them. Four of the top five uncertainties to development are man-made. Furthermore, three out of the five potential impediments are government influenced (risk, distribution (leases), and environmental constraints.